Game Birds… A FABULOUS colorful PEACOCK print. 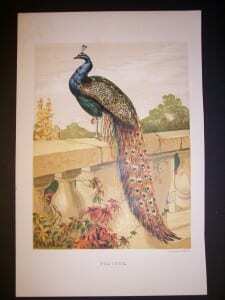 This handsome OLD chromolithograph of a Peacock is English produced in 1865, measures about 7×11″ and is $135. Click here to contact us. Here are great old copper plate engravings on very fine hand made hand laid linen rag of PEACOCKS by Mathias Merian produced in Nuremberg Germany in 1646! Here we have tiny Pheasant prints by William Lizar. These are Scotch water colored steel plate engravings measuring about 4×6″ and sell for $45. each. Old prints of game and sporting birds. 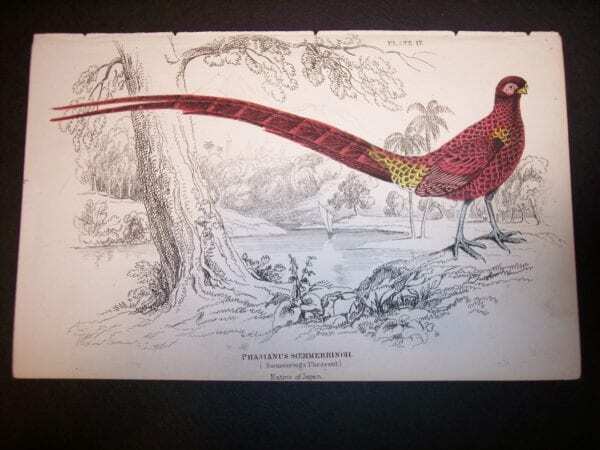 Old hand colored steel plate PHEASANT engravings by William Lizar, rare old engravings of PEACOCKS by Mathias Merian. Old Turkey lithographs and engravings! Game Birds! 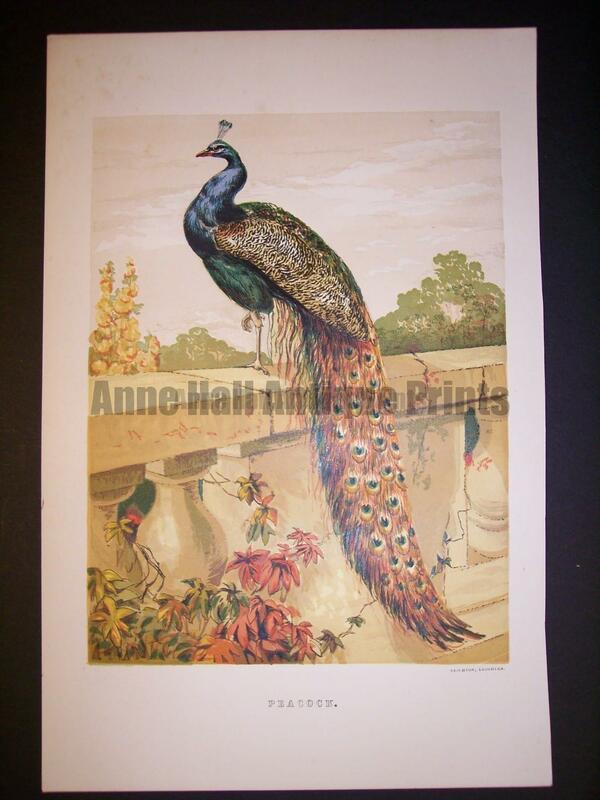 Old antique game bird prints including duck, turkey & pheasant from Anne Hall Antique Prints! Rare prints of sporting birds- old engravings and lithographs of game birds by John Gould and other ornithologists! 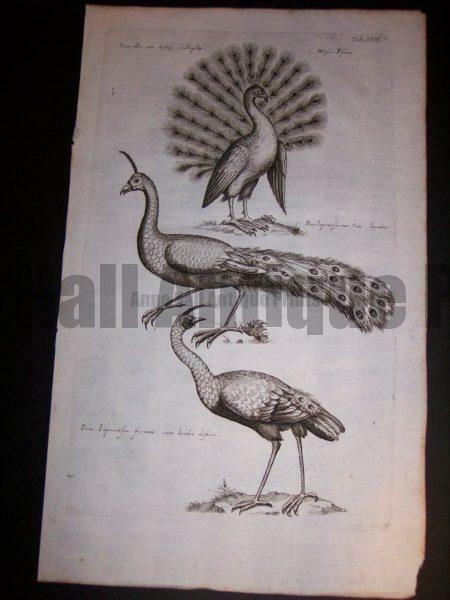 Antique sporting prints of game birds. 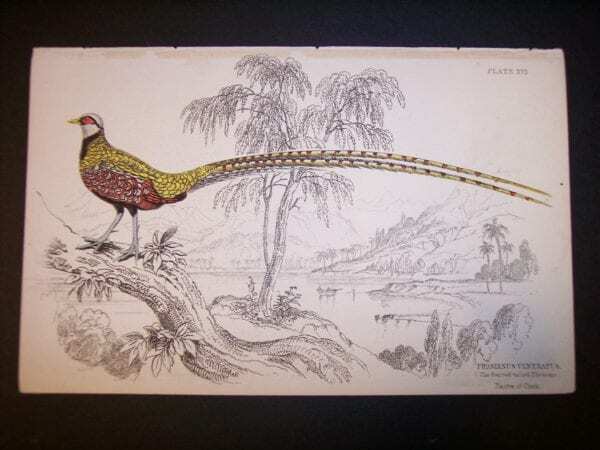 Old engravings & lithographs of duck, pheasant and other game bird prints. Antique game bird prints including old grouse prints from Anne Hall Antique Prints! John Gould’s duck are beautiful! They are hand colored lithographs from the 1800’s. 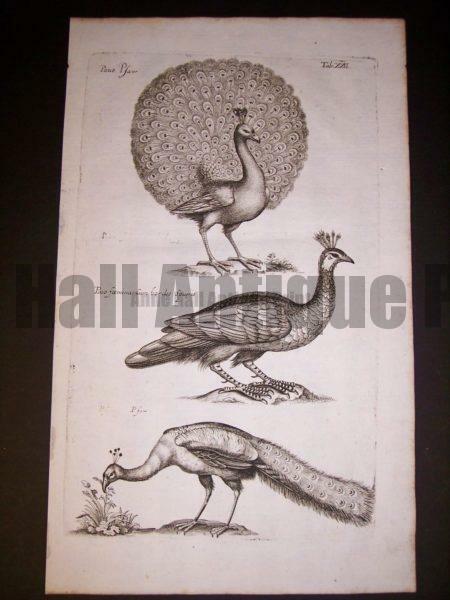 Antique turkey prints!Old prints of game and sporting birds. 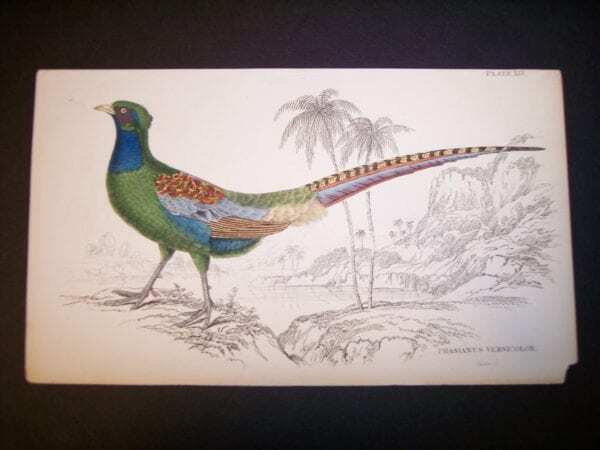 Old hand colored steel plate PHEASANT engravings by William Lizar, rare old engravings of PEACOCKS by Mathias Merian. Old Turkey lithographs and engravings! Pigs Hogs! Antique Pig and Hog Chromolithographs. Hand Colored Pig Engravings.